Do you think you or someone you know could have a shoplifting addiction? A shoplifting addiction is a fairly common condition, although the motivation of compulsive shoplifters is different from what you might expect. Contrary to popular belief, people suffering from shoplifting addiction don't steal because they can't live without the merchandise. Instead, compulsive shoplifters say the rush of stealing merchandise without being caught produces an incredible feeling of euphoria that surpasses the reward of obtaining the stolen item. In fact, shoplifters with drug problems often describe the two addictions as having many similarities. Recent statistics indicate that there are more than 25 million shoplifters in the United States. This means that roughly 1 in 11 Americans has shoplifted merchandise. Most people shoplift from department stores, but shoplifters have also been caught in supermarkets, specialty shops, convenience stores and drug stores. Many admit to purchasing some items and stealing others during the same shopping trip. Shoplifting addiction is usually associated with women, but statistics reveal that men shoplift just as often as their female counterparts. About 3/4 of all apprehended shoplifters are adults. However, most law enforcement officials believe a shoplifter is only caught once out of every 49 times he/she steals. Addictive compulsive shoplifters feel a need to steal items that are inexpensive, and they frequently give away the stolen merchandise to friends or family. Many people in this category also suffer from gambling problems, compulsive overeating or various mental health disorders. Thrill seekers steal because of the taboo associated with shoplifting. This category of shoplifters includes most teens who are caught stealing for the first time. Peer pressure is often the motivation for thrill seeking shoplifters. Impoverished shoplifters steal diapers, baby formula, food or other essential items because they simply can't afford to provide for themselves and their families. Drug addicts steal to support their addiction. 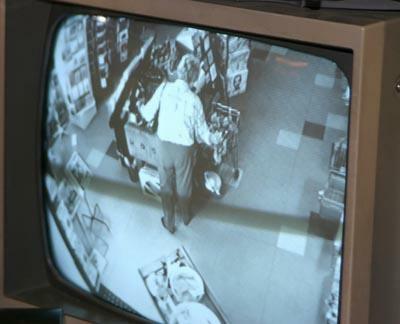 Professional shoplifters make stealing electronics and other high-value items a career. If caught, they show no remorse. Cleptomaniacs are impulsive and careless, and they steal for no real reason. In fact, many confess to taking bizarre items such as clothes that don't fit. Forgetful shoplifters steal by mistake and are mortified when they are caught. This category of people includes the elderly, people on medications or shoppers who are simply in a hurry to leave the store. Of the categories listed above, only addictive compulsive shoplifters and cleptomaniacs suffer from a true shoplifting addiction. However, cleptomaniacs only make up one 1% of all shoplifters, while addictive compulsive shoplifters make up 75% of those caught stealing. An addiction to shoplifting is only possible if there is no real reason for the behavior other than the adrenaline rush that comes from stealing. If you suffer from shoplifting addiction, there's no need to be ashamed. The condition is more common than you might realize. With proper treatment, you can be on the road to recovery. Many compulsive shoplifters seek treatment from a therapist to deal with the issues that contribute to their problem. By treating the coexisting conditions, the need to shoplift should decrease. You can find a therapist by consulting your local phone directory or searching various online resources. Support groups can also be quite helpful. Cleptomaniacs and Shoplifters Anonymous is the most well-known support group for people suffering from shoplifting addiction. This group is based on the Alcoholics Anonymous principles and provides a non-judgmental place for addicts to work towards recovery. They emphasize personal responsibility and accountability for your actions.